Nobody knows what goes on inside the stout walls of the Toll Gate House in Northcote Village. Old Jim, the cantankerous recluse who has lived there all his life is infamous among the villagers for maintaining his privacy – with a musket and a mean word when called for. So when Jim suddenly begins issuing Christmas dinner invitations to Northcote’s upstanding citizens there is an outbreak of confusion that challenges manners and traditions. 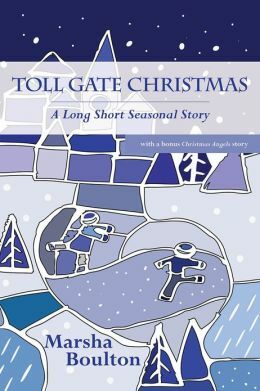 In this tale of havoc over a turkey supper, a gingerbread-trimmed community turns itself inside out to avoid unwanted surprises, only to discover that the tithe of attending Christmas at the Toll Gate House is a special kind of self-sustaining joy. Author Marsha Boulton brings characters and community alive in the tradition of Garrison Keillor with a classic O.Henry twist. Added free bonus story – “Christmas Angels” – An enchanting short memoir that takes the reader into the Peaceable Kingdom of the author’s barn on Christmas eve with the horses, sheep and a goose wearing a red bow. Perfect. Somewhat sentimental. Happy Holidays. You may want to make it and the accompanying image a Christmas card. Christmas on Main Street by E. Ayers, et. al. A Smoky Mountain Christmas by Carol DeVaney. Falling in love wasn’t in Tina’s plans. She’d survived the snowstorm, but could she survive the love of recently divorced Hank Gordon who’s sworn off women? A Baby for Christmas by Susan R. Hughes. When Ryan opens his home to Paige, a beautiful stranger who happens to be pregnant, will it take a Christmas miracle to make them realize where their hearts truly belong? A Light in the Christmas Cafe by Kristy Tate. A food thief, a haunted house, a matchmaking grandmother and a handsome stranger: Are the apron strings tying Deirdre to her grandmother’s café tangling up her life plans or are they leading her to love? What if…this Christmas by Kelly Rae. Will a marriage proposal be the end of Katie and Chris’ forever? The Christmas Wish by Tori Scott. 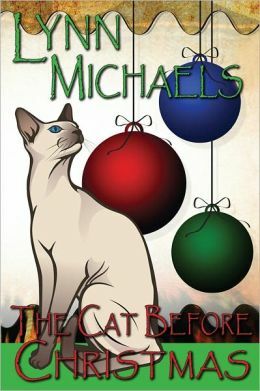 Merry is a long way from home and missing her family as Christmas approaches, until she falls right into Santa’s lap. A Potters Wood Christmas by Leigh Morgan. A plot to steal an ancient artifact in the Bennett’s possession could be the key to opening an even greater prize. 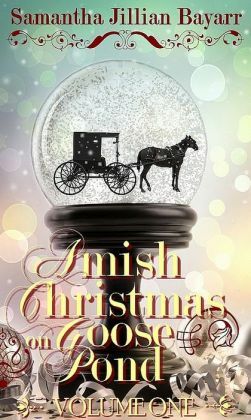 Will Cian find family and the spirit of Christmas again? Small Town Glamour Girl Christmas by Stephanie Queen. Small town girl Julie hates being an Audrey Hepburn look-alike. When the big city man of her dreams comes to town for Christmas will she sell out to model in the city or settle into small town life on his terms? Her Christmas Cruise by Mona Risk. 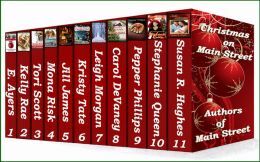 The perfect fiancé is a cheater and the fabulous Christmas wedding is off. But the would-be honeymoon cruise may fulfill the dreams of Julia and her unexpected companion. The Christmas Con by Jill James. Contemporary Romance. 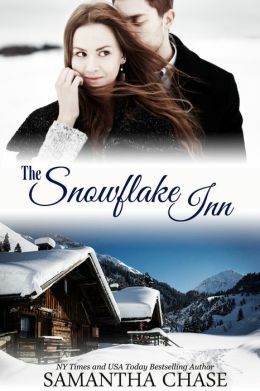 Two reformed jewel thieves, Robin and Ian, are on the job to retrieve a priceless necklace, but Santa has special plans for a reunion of the ex-lovers. A Snowy Christmas in Wyoming by E. Ayers. A Native American cowboy with his thirteen-month-old daughter and a national news anchorwoman have nothing in common, except for their pasts, but in this season of giving, will fate reach through time and give the gift of love? The Christmas Gift by Pepper Phillips. When an opportunity to make money presents itself, eleven-year-old George faces the biggest decision of his life. Will he become a thief like his father or will he discover the fact that giving, rather than receiving, is the best gift of all? Wynn Murphy has been in love with Zane Anders since the day she laid eyes on him. But just when she begins to hope their casual relationship might turn into something more, a misunderstanding pushes her away. At first sight, charming and handsome, ad executive, Zane Anders has been secretly infatuated with bake shop cutie, Wynn Murphy. This Christmas, he’s determined to tell her. 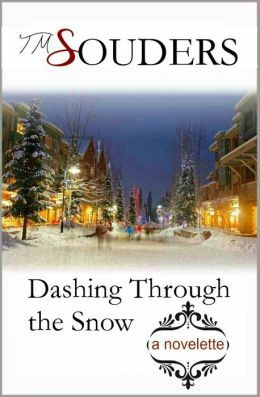 Join Wynn and Zane in this delightful holiday novelette as Zane goes dashing through the snow in an effort to capture Wynn’s heart. 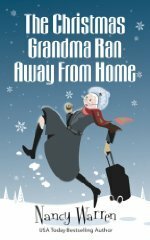 For every woman who’s ever felt overwhelmed and under-appreciated at Christmas comes the story of a decent woman, a widowed grandmother, respected matriarch of a big, noisy family who snaps one holiday season and decides to run away for the holidays. Little does she realize what adventures are in store. Long time widow Sandy Forbes is breaking out this Christmas. In her 71 years on earth she has stuffed and cooked 55 Christmas turkeys, baked hundreds of pies, turned out thousands of shortbread cookies and hoisted enough pine trees in her living room to reforest the Amazon. Her family love her. They come to her for every occasion, eating, drinking, squabbling and then leaving her with a mass of dishes andcrumpled holiday wrap. But this is the year everything changes. When she wants someone else to take over for one year, the family lays a big guilt trip on her and Grandma rebels. Sandy’s giving herself a gift this Christmas. She’s running away from home for the holidays. Wiki the cat loves Christmas. Batting the ornaments, basking in the blinking lights — he even helps choose the tree each year! But this year there’s trouble in Wiki’s yuletide paradise when his mistress Cary decides to go skiing in Colorado instead of staying snug at home with him in Kansas City, Missouri. To derail her plans, Wiki escapes to the Christmas tree lot where he’s sure Cary will find him. He doesn’t count on a blizzard or a huge German shepherd with a handsome and stubborn master named Ben. All three conspire to trap Wiki on the lot. For his own good, of course. Cary is frantic, searching everywhere for Wiki — everywhere except the Christmas tree lot where Wiki waits to be saved, and Zeus’ master waits to sweep Cary off her feet. Molly Hannigan is a young widow who gets a vacation retreat from her “Secret Santa” at the office party, Although she knows the gift is from her boss and friend, she agrees to take the vacation to the Amish-run B&B despite her aversion to the Amish. After all, if it hadn’t been for the woman driving the buggy who caused her husband’s car accident, her Jesse would still be with her. Molly is the first guest of the B&B for the Christmas season, and ends up with more than she bargained for in this forced vacation–including the curator’s son, Ian, with whom she has more in common with than she feels comfortable with. Miranda sneaks home after a long absence, determined to avoid her former fiance. But Hunter wants far more than his old role as brother-in-law-to-be. 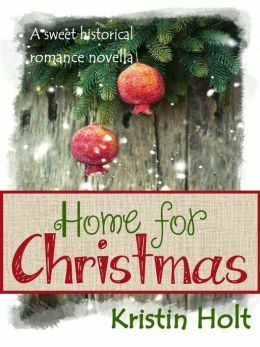 Abundant Christmas spirit, matchmaking mothers, and hometown holiday celebrations conspire against Miranda’s plans for a quiet, at-home Christmas. Her heart doesn’t stand a chance. This 6530 word short story is also available in the Wedding Dreams Boxed Set.